Have you played Crossy Road before? While all of the characters in there happen to share the same kind of movement mechanics, it must be said that some of them happen to feel a whole lot faster than the rest, and for those who settle for the snail, there is a slimy trail that it leaves behind that adds character to the entire situation. 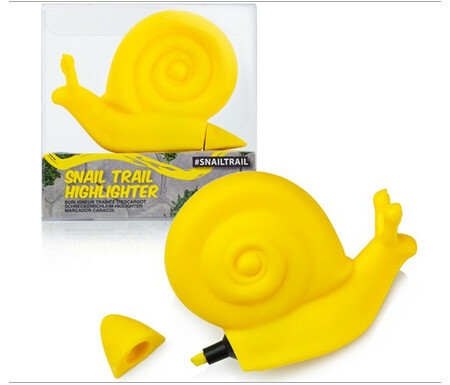 Well, it looks like there might be a real life equivalent in the form of the $6.99 Snail Trail Highlighter, except that by its name, you know that no slimy trails will be left behind, other than highlighting whatever you think is important to be highlighted, and in yellow.